Florence lives continuous changes. Able, however, to safely guard its past heritage it doesn’t miss the directions and the perspective of new times. Many the enthralling things to be done there. Comfortable or charming holiday accomodations are easy to be booked. Profit from the Florence apartments or the Tuscan villas in the immediate surroundings offered by Tuscany Holiday Rent. 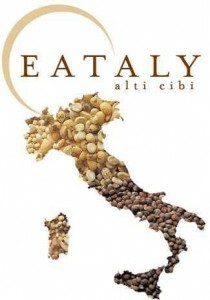 An event not to be missed in spring 2013 could be the start- up of Eataly , which after a search of about three years has found home in Florence. The great new foodie emporium turns upside down food retail, conjugating high quality food with large distribution Small suppliers from the whole Italy are going to offer their products. It will be possible to get the best of Italy such as almond jam from Noto, Sicily, the sea salumi” by Michelin two-star chef Moreno Cedroni from Senigallia or many Slow Food Presidia produce such as Carmagnola rabbit and Saluzzo chicken. The space will feature various restaurants as well cooking lessons of the dishes on offer in the numerous onsite corners. The idea behind is or taking the ingredients home to prepare a meal yourself or enjoy the stinging nettle lasagna with pesto or what you like at one of the on- site restaurants. 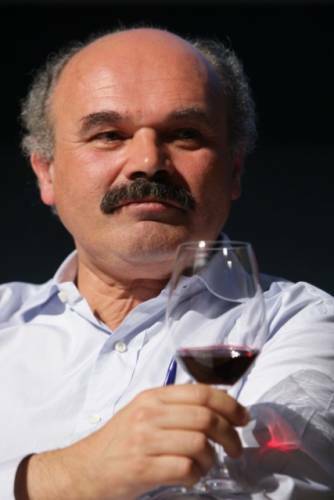 “Buy, taste and learn about the best foods all under the same roof” that is the motto of Oscar Farinetti, the brilliant Piedmontese, founder of gourmet food and wine market, creator of Eataly. 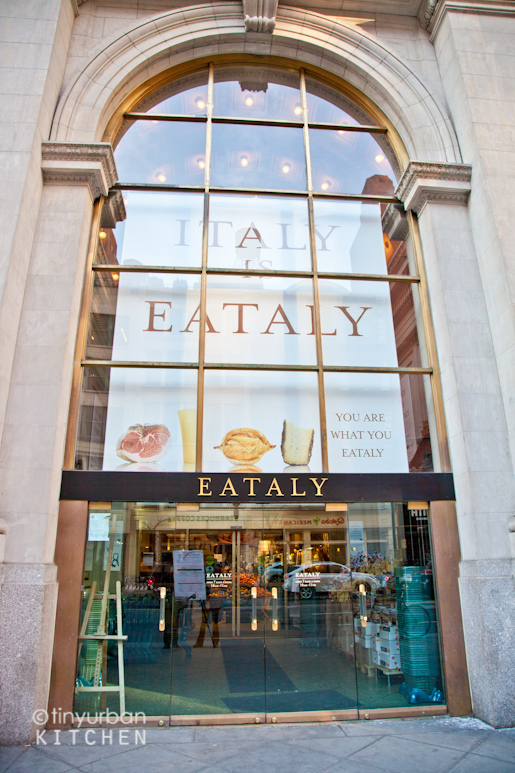 In New York City Eataly, opened in the Toy Building in 2010. Mr Farinetti teamed up with three of New York’s most beloved Italian-American restaurateurs, Joe Bastianich, Lidia Matticchio Bastianich and Mario Batali, making of the 200 Fifth Ave, seat of Eatitaly, the one must –stop food destination in New York as Joe Bastianich loves saying. Similar to the one opened in Turin in 2007, it houses an Italian bakery, a coffee-corner with a pastry-shop for an authentic Italian breakfast, a restaurant with take-out counter, and, not to be forgotten, tasting and cooking classes. A megastore- in the definition of New York Times- that combines elements of a bustling European open market, a Whole-Foods-style supermarket, a high-end food court and a New Age learning centre. 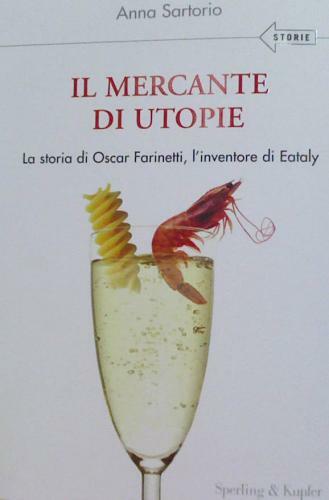 Now a new foodie emporium will be opening next year , 2013, in Via Martelli, Florence, on the site of a historical bookshop. Its 1,300 square feet will be turned into a multi-functional area including bookshops, mini-theme restaurants and events such as cooking classes, in the new perspective of reviving Florence deserted centre, chasing away the recently barbarian invasion of cheap cloth shops. The Cathedral Santa Maria del Fiore will be able to shine again in its overall glamour under the stars for the pedestrians able again to gain back the town centre at night. How did the adventure of Eatily begin? It sounds like a fairytale. The dream of fostering the understanding and appreciation of the Italian cooking sorted out the meeting of Oscar Farinetti and Alessandro Frassica, aka Ino, who had been running since 2006 a small slow food sandwich shop in Via dei Georgofili, bringing to a new life a site badly damaged by mafia bombs in 1993. Frassica, faithful to his style, is able to endorse Mr Farinetti’s proposal of setting up A Florentine Eataly, a challenge to make people aware of what they eat, what they feed on. He likes repeating his refrain. Just three things would accompany him to a desert island: real Tuscan olive oil, Chianina meat and a bottle of Chianti to enjoy life to its deepest essence.